Medical education is a vital part of Baylor Scott & White Health’s commitment to exemplary care, education and research. 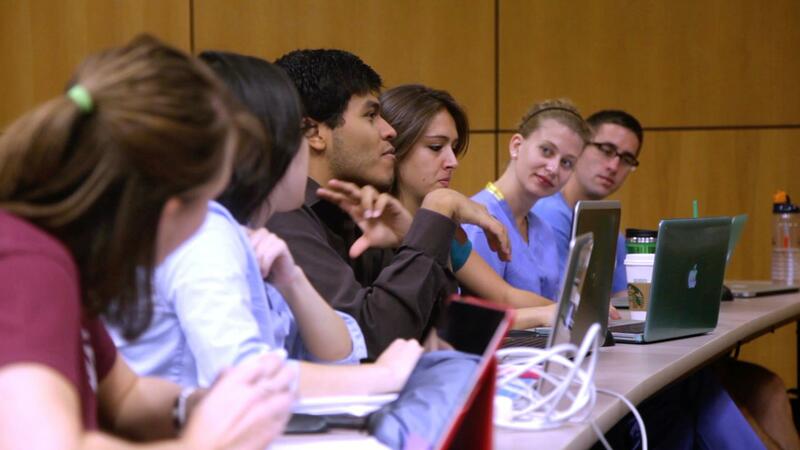 Through our medical internship, residency, fellowship and nursing education programs, we are developing visionary leaders for the future of health care. Throughout North and Central Texas, medical students and residents are receiving extensive clinical and academic training to prepare them for a lifetime of caring for the communities where they will serve. Many of these individuals go on to be at the top of their medical field, bringing excellence to their medical facilities such as discussed in [Part 4] Building National Centers of Excellence. Baylor Scott & White’s renowned teaching facilities attract first-rate medical specialists who train residents and fellows in 14 specialties and 18 subspecialties. This July, Baylor Scott & White is re-instating an orthopedic residency program at Baylor University Medical Center at Dallas (Baylor Dallas). Orthopedic graduate training has a marked history at Baylor Dallas. It’s first orthopedic resident graduated in 1921 and the medical center even trained the first female orthopedic resident graduate in the United States. As the need for orthopedic surgeons continues to grow in Dallas—more than 5,400 orthopedic surgeries are performed each year at the medical center—the new program will help sustain demand. The five-year program will begin with three Post Graduate Year-1 orthopedic residents.